From April 2013 we are present in Tuscany with a fraternity of brothers in the diocese of Volterra by the church of Cellole, near San Gimigniano. 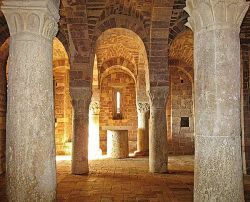 In 2009 we acquired the Monastery of San Masseo in Assisi, which from autumn 2010, after the works of renovation, will host a new fraternity of our community: after more than ten years since the closing of our fraternity at San Benedetto in Assisi because of the earthquake, we are again present in the beloved city of saint Francis. 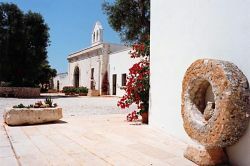 In 1998 Bose opened a fraternity outside the city of Ostuni in the region of Apulia, an area with which the community has always had from the beginning strong ties of friendship. In order to understand more fully the Jewish roots of Christianity and deepen our understanding of the Scriptures shared by Jews and Christians, since 1981 the community has been present with a fraternity in Jerusalem. The presence of the fraternity in Jerusalem is also an opportunity for dialogue with the other churches present in Israel. In its relationship with all of the Christian Churches the community of Bose seeks to be a sign of unity in the seeking of the common spiritual heritage. For this purpose the community had promoted already in 1973 a fraternity in the canton of Neuchâtel, Switzerland. This fraternity remained open until 1978 as a witness of the possibility of communion and collaboration between Catholics and Protestants.